Nice. 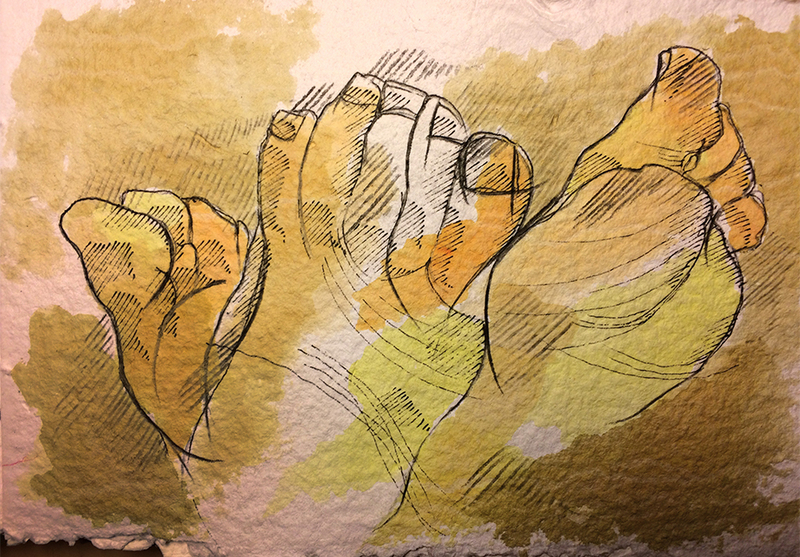 I always find hands and feet interesting go draw, maybe because of their complexity. I especially like to look at Bougereau’s paintings for how he rendered feet. Thank you for noticing. You are a busy man for a good reason right now. I enjoy seeing your beautiful art. Thank you for them. Lovely – are they yours? 3 seemed just right! My wife doesn’t mine… … …. what??? ?